Stay Hungry: My Mindset. My Method. My Fight. 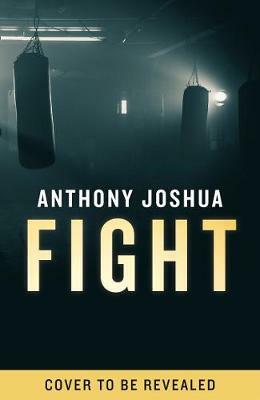 `A MODERN SPORTING PHENOMENON' GuardianThe first official book from heavyweight boxing champion Anthony Joshua in which he explains the mental and physical strategies that have made him the champion he is today. Stay Hungry: it's all about that feeling when you get up in the morning, that feeling of `what can I achieve today?' Even when you think you might have reached the top, there are always more things to do, more things to learn, more things to achieve. Anthony Joshua is one of Britain's most exciting athletes. He's an explosive, instinctive fighter, a natural entertainer who has changed the face of his sport. An Olympic Gold Medallist at the age of 22, he has gone on to conquer his division, remaining undefeated through his professional career, and is on the cusp of making history as the first heavyweight boxer to unify the belts.But it hasn't been an easy journey. He took his fair share of hits on the way to the top, from overcoming a brush with the law in his teens to defeats in the amateur ranks through to being knocked to the canvas in the biggest fight of his life - and getting back up. Every single setback taught him a lesson, refined his thinking, made him a sharper athlete and a more rounded and thoughtful person. He understands he's not the finished article; he's always learning, always looking for ways to improve.In this fascinating, inspiring and frank account, AJ shares never-before-heard stories from his life, in and out of the ring, and explains the mental and physical strategies that have made him the champion he is today.My biggest opponent isn't Klitschko, Whyte or Wilder - it's me. That's where this hunger comes from. Buy Stay Hungry: My Mindset. My Method. My Fight. by Anthony Joshua from Australia's Online Independent Bookstore, Boomerang Books.